The Cotswolds are made up of rolling hills, dotted about with small, pretty villages and towns. Most of the stone used is called Jurassic limestone. The highest point is Cleeve Hill at1,083 feet and just north of Cheltenham. The area is comprised of the prettiest counties, namely Gloucestershire, Oxfordshire, Wiltshire, Somerset, Warwickshire and Worcestershire. The best way to explore the Cotswolds is to hire a car, explore the many beautiful villages such as Castle Combe, Chipping Norton and Tetbury, or stay in a bed and breakfast and use it as a base to hike around the area. You may decide to take your RV and explore. You will find campsites and RV parks to make a base for you to explore the area from. The Cotswold Way covers 10 miles and will give you amazing views of the Severn Valley and Vale of Evesham. 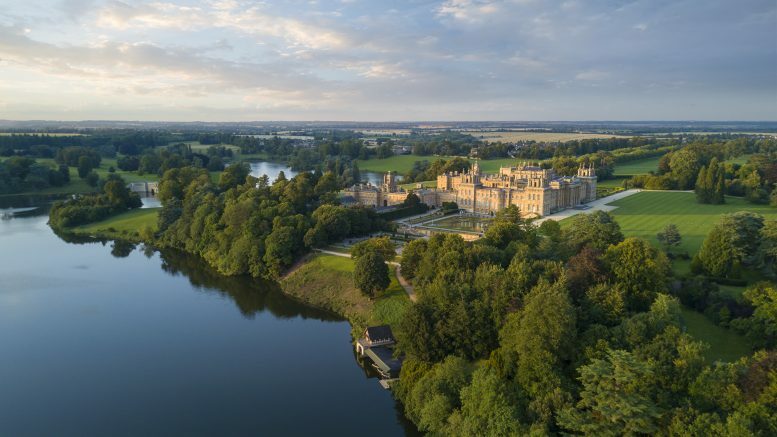 Blenheim Palace is one of the largest homes in England, and was built between 1705 and 1722. In 1987 it was designated a World Heritage Site. It represents the principal abode for the Dukes of Marlborough. It was also the birthplace of Sir Winston Churchill. The landscapes were designed by Capability Brown, and the house was opened to the public is 1950. It is closed between December and February. Allow yourself a half day to see the house and the garden. This library in Oxford ranks as one of the oldest in the world. It is certainly one of the most impressive you will see! Entrance fee of £1 will allow you into the Divinity School. The rest of the complex can be seen through guided tours only. You can book your tickets in advance, online, or at the desk on arrival. The library has a collection of books from the 15th century, and still has an agreement to receive a copy of every single book published in the UK! The total amount of books currently stands at over 12 million! The library has 117 miles of shelving and a seating area for about 2500 readers. If you are in time to witness it, every Wednesday some 5,000 books arrive, every one of which must be catalogued and stored. The annual boat race takes place in April, you should check online for the exact dates, as this varies year by year. It is well attended by over 300,000 people every year, although you will easily be able to find place to sit on the banks. The start of the race normally is at 4.35 pm, but various activities go on along the bank all day, with beer drinking being one of them! The area is very pretty to walk around in and explore, so you may want to arrive early. The course is four miles and starts in Putney, finishing in Mortlake. If you decide to leave this beautiful city and explore more of England, be sure to read the rest of the article for some amazing sights and interesting places in England.